Exchange Monitoring Tool PRTG - Download for Free! The mail server is down – what now? How can I receive an alert email if Exchange Server is down? This is a question many administrators have when they use PRTG for the first time. The answer: Set up a fallback solution. The alarm of PRTG is customizable – you can choose to be notified by email, SMS, or push notification in your app. In this PRTG knowledge base article, you will learn how to incorporate a GSM modem into your network that will send you a text message via a mobile phone if your Internet connection goes down. 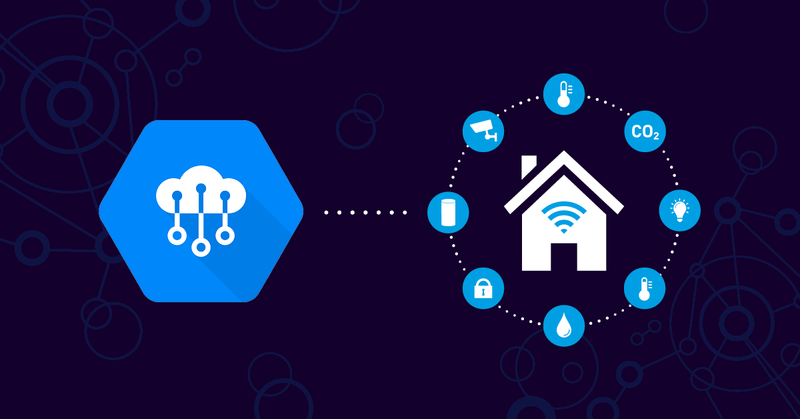 For your most important network components, we recommend using at least two separate notification methods. In this way, you will be sure to always be notified in the event of downtime, and can react accordingly. 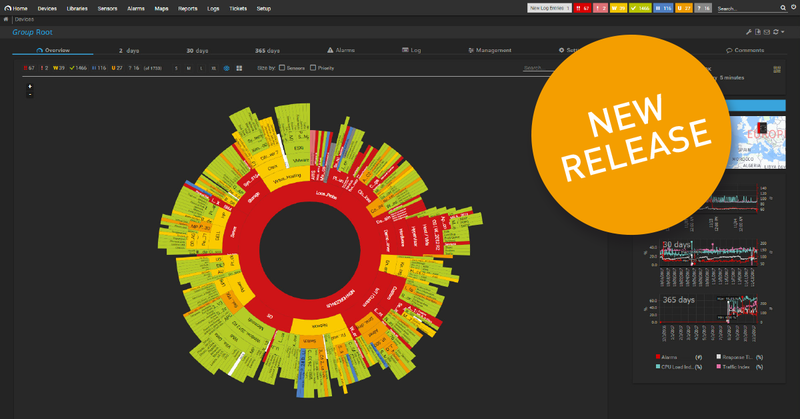 Learn more about the customizable alarm of PRTG here. You can also find detailed information in our manual on how to set up notifications. Round Trip sensors let you monitor the complete sending and receiving process of your emails. These sensors continually check to ensure emails are delivered first to the mail server and then to a POP3/IMAP server, and that they do not experience any delays during their sending and receiving which might be harmful to your business. More on the SMTP & IMAP Roundtrip Sensor and SMTP & POP3 Roundtrip Sensor. Designate your Exchange Server as a device in PRTG by indicating its IP address or DNS name, then add the Exchange-sensor you will need to monitor your servers in detail. If you encounter a problem with the sending or receiving of emails, these sensors will provide you with some initial insight into the possible causes. 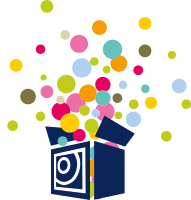 Based on the values it measures, PRTG will notify you quickly – usually before serious email problems can arise. For Exchange monitoring to be effective, it should not only include the number of emails, but also databases, backups, mail queues, and the functionality of IMAP, POP3, and SMTP protocols. Add the sensors to your central dashboard, which will display the monitoring data of SQL servers, web servers, and other hardware and software in a clear and intelligent manner. 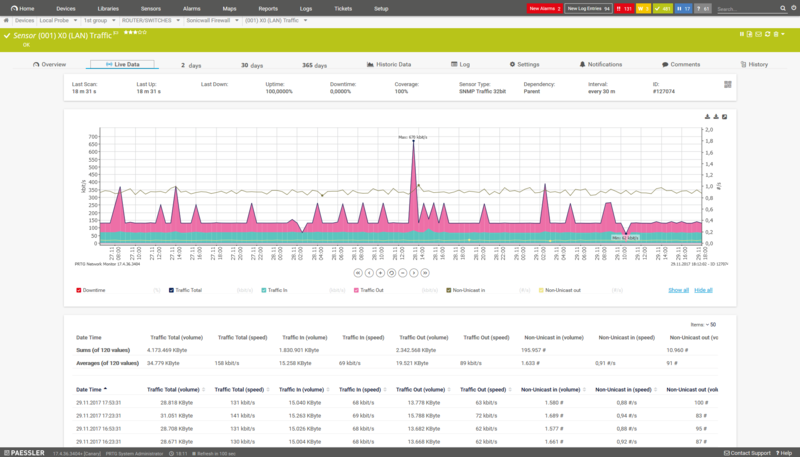 With the dashboard, you get a constant overview of your entire network and can immediately identify the causes of problems. PRTG comes with a number of pre-configured sensors for Microsoft Exchange Server. A variety of Exchange sensors will be created automatically during installation and the Auto Discovery process. And other sensors can be added to your Exchange Server with just a few clicks of the mouse, which makes setting up Exchange monitoring both quick and easy. With PRTG, you’ll be alerted quickly – usually before your email traffic has a chance to build up. All alarm threshold values are customizable, allowing you to react to disruptions both promptly and proactively. Round Trip and Exchange Server sensors conveniently display all the most important information on your dashboard. Throw in the other network sensors of PRTG, and you’ll get an overview of your entire network! 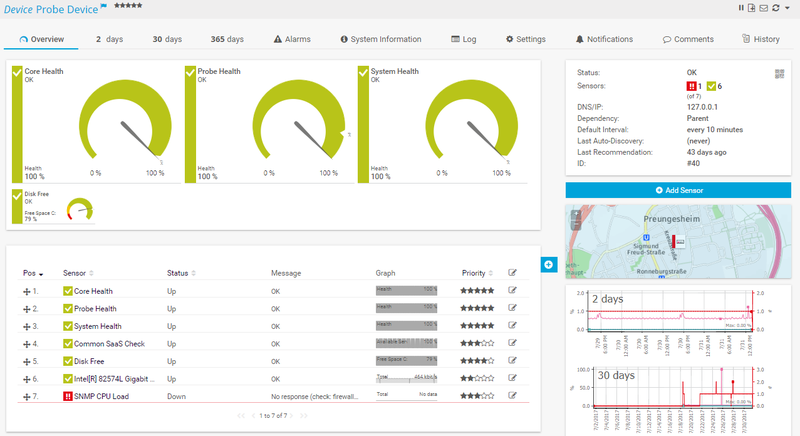 Our PowerShell sensors allow you to customize your monitoring to adapt to your own specific hardware. As Windows specialists, we also offer you the possibility of tailoring your monitoring with WMI. With PRTG, your monitoring will fit your system like a glove. This sensor monitors the status of a mailbox with regard to size, the number of emails, and the latest login. With this sensor, you can keep an eye on the size of your Exchange database, and immediately recognize if it is mounted and valid. You can also monitor its database availability group (DAG) status. 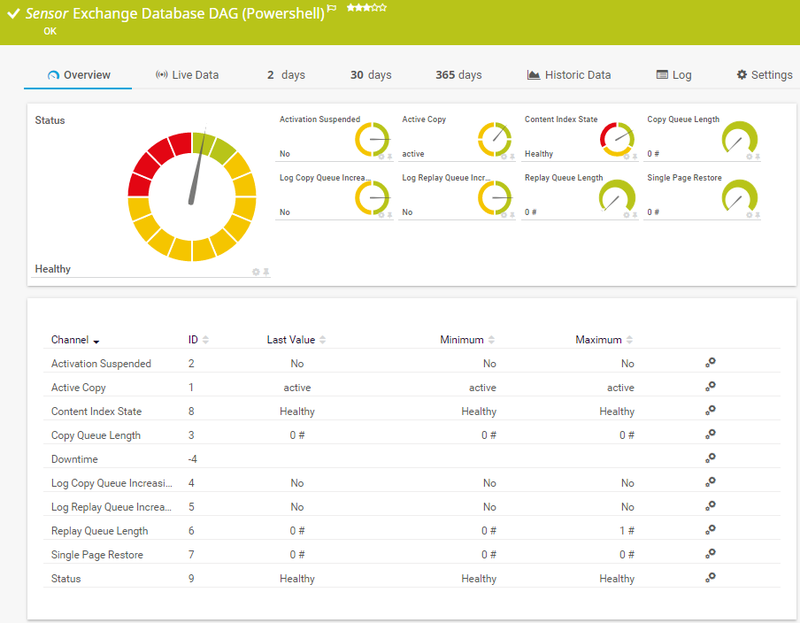 To do so, use the Exchange Database DAG (PowerShell) Sensor. 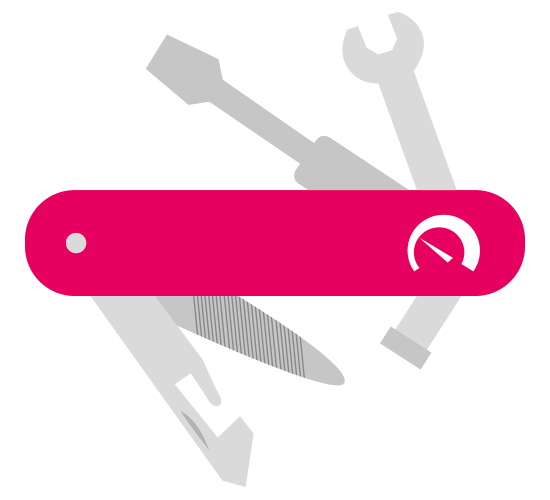 This sensor lets you verify whether your Exchange Server backups have been performed properly. This sensor monitors the number of emails that are currently in the mail queue. Alternative: WMI Exchange Transport Queue Sensor. Check out our knowledge base for information on the various types of mail queues. This sensor monitors your Exchange Server’s public folders (size, access, etc.). The WMI Exchange Server & WMI Exchange Transport Queue sensors let you query other important Exchange Server data via WMI. This sensor checks the response times of SMTP and IMAP servers, thereby allowing you to monitor the entire e-mail delivery process. This second Round Trip sensor which has been developed for SMTP in conjunction with POP3, also monitors end-to-end delivery. POP3, IMAP and SMTP sensors allow you to monitor the availability of your email servers by way of their respective protocols. Many sysadmins use Windows Management Instrumentation (WMI) to monitor their Windows servers. The drawback of WMI technology is that it puts a heavy strain on your system. 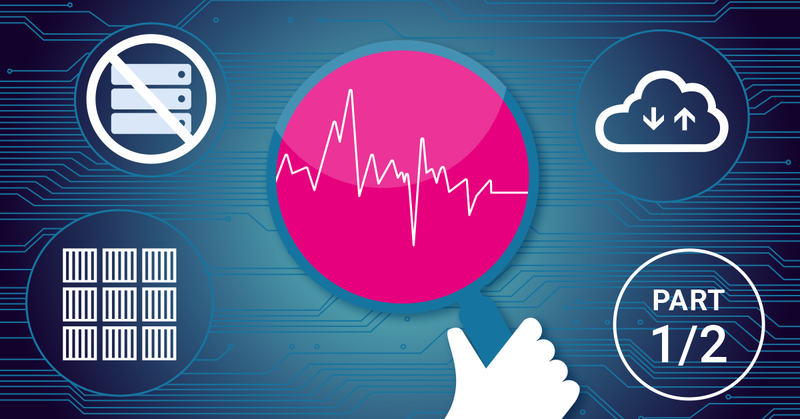 If you wish to set up in-depth monitoring, you should therefore use WMI sensors sparingly. Another option for Exchange monitoring is PowerShell, a technology that uses significantly fewer resources. When issues arise with Exchange Server, there is a great deal at stake. run smoothly and data remains secure. When email slows down (even a little), it usually takes no more than a few minutes before the first complaints start to pour in. Whether your coworkers are sending or receiving emails, they will expect nothing less than perfectly operational email traffic at all times. Exchange Server crashes make all email traffic impossible. Everyone from the secretary to the CEO is affected, and they will not hesitate to let you know that they are no longer able to work. In short, the company comes to a standstill. Lost information is often synonymous with great risks and expenses. In some cases (such as when customer data is lost), it can even cause a company to go under. „The fact that PRTG included all the sensors for Exchange, VMware, Terminal Services, Windows Performance Data, WMI, etc. made it a much more affordable solution." Practical tip: Hey Dieter, how does Paessler AG use Exchange Server? “As a medium-sized company, we decided to go with Exchange Online, and so no longer install the software ourselves. Our “cloud first” philosophy played a role in our decision, even if the online version of Exchange tends to be less advantageous in terms of cost/time savings for firms of our size than it is for bigger corporations. 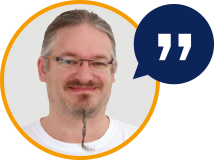 Dieter Loskarn, System Administrator at Paessler AG, has been working with Exchange Server since the software first came out. The current versions are much more widespread. For Exchange 2010 and Exchange 2013, you can use our WMI and PowerShell sensors. So far, we have also gotten lots of positive feedback for the monitoring of Exchange 2016. PRTG is equipped to monitor a variety of different Exchange versions. Exchange 2003 and Exchange 2007 are practically obsolete. For these versions, the PRTG WMI sensors will do the trick. Many companies use Office 365 and Exchange Online. These options can be significantly less expensive than managing Exchange Server, especially for big corporations. With these options, data is hosted on Microsoft servers. Office 365 and Exchange Online are often used in conjunction with other cloud services. But even cloud services can be disrupted by faulty connections. With PRTG, you can quickly determine if email traffic-related problems lie in your network, with the user, or with the cloud provider. Server monitoring – an overview: PRTG lets you monitor your entire server infrastructure and the performance of your servers. On this page, you will discover which sensors to choose while setting up your server monitoring. 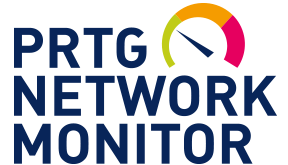 Network monitoring: PRTG is a centralized, comprehensive network monitoring tool. It uses a variety of different technologies to monitor your systems, devices, and applications.